"What started out as a backyard prairie garden has grown to become a national retailer"
Founded by J. Robert Smith, Prairie Nursery began as a small garden on a half-acre plot as one of the first nurseries in the US to grow and market native plants. Inspired by the wildflowers and grasses growing around his farm, Smith began experimenting with Lupine and Butterflyweed, teaching himself how to germinate, grow and transplant prairie plants. At the same time, Neil Diboll was studying prairie ecology at the University of Wisconsin-Green Bay. After graduating, he worked summers for the U.S. Park Service in Virginia, and later the U.S. Forest Service before returning to his alma mater to perform prairie plant research. In 1982, Bob decided to retire. Neil called Bob and asked him if he wanted to sell some of his stock plants so that Neil could establish a prairie nursery in his own backyard, but Bob suggested instead that Neil move to Westfield and take over the business. Today, Diboll is the company's President and Owner of 36 years, having turned it into a major player in the native plant industry. 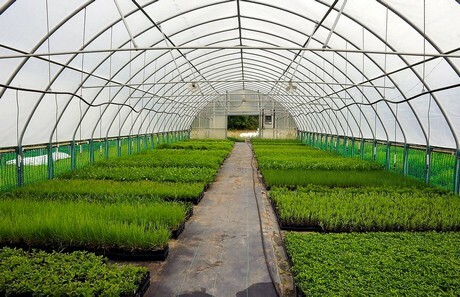 The nursery employs 12 full-time people and around 20 seasonal employees to grow unusual native prairie and woodland plants, with the goal of preserving a diverse gene pool and the genetic integrity reflected in the variability and adaptability of nature. 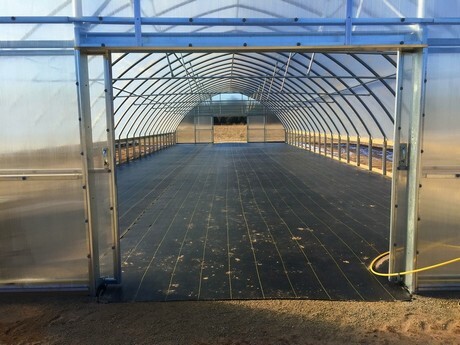 Their leading products are shorter prairie grasses, such as little bluestem and prairie dropseed and grow the majority of its plants in 10-inch x 20-inch trays that contain 32 pots each, and are lightweight and easy to ship. 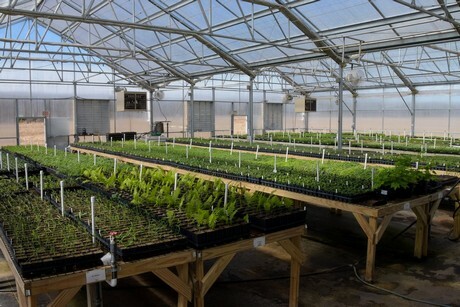 The nursery ships strong root systems to its customers, which include landscapers, individual homeowners, parks and schools to create strong and healthy plants. The Nursery Prairie has a higher cause and appreciates its role in the industry. "Whether gardening in a small space or restoring habitat on a larger scale, native plants are an empowering choice that supports life, bio-diversity, sustainability, and soil and water conservation. Prairie Nursery is proud to be part of that choice," according to the company's website (www.prairienursery.com).